Despite rumors that FOX is reportedly unhappy with Josh Trank's reboot of Fantastic Four, as it looks more like a sequel to the cult-hit Chronicle than a Marvel saga, the trailer seems to be able to live up to expectations. For those that aren't familiar, Chronicle is a dark movie about some high school kids that acquired superpowers that proved to be too much for them to control. It was sort of like your anti-superhero - superhero movie and it was fantastic! Personally, I wouldn't mind an extra serving of the same formula. Anyway, the final trailer of Fantastic Four is finally released. It takes us to the beginnings of Reed Richards genius and gives us a glimpse of one of Marvel's A-list villains, Doctor Doom. It isn't as angsty as Chronicle but having a younger cast sure makes that possible. The good news is, there is no way that they can do a worse movie than the original so that alone makes this worth watching. 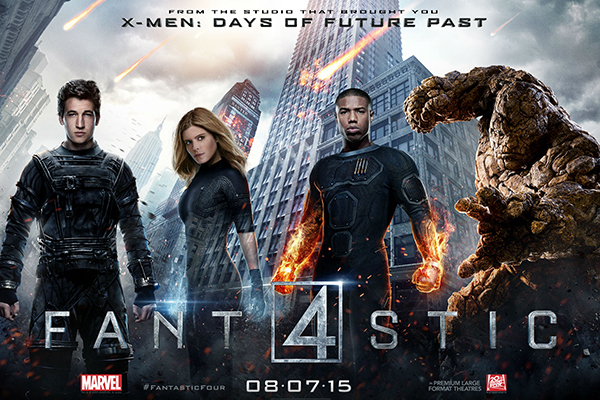 Fantastic Four opens August 5th in Manila and August 7th worldwide.